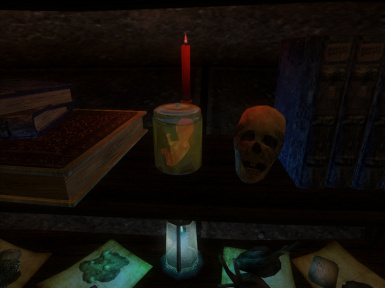 In his tower overlooking the small fishing village of Dagon Fel, Sorkvild the Raven conducts his necromantic experiments. 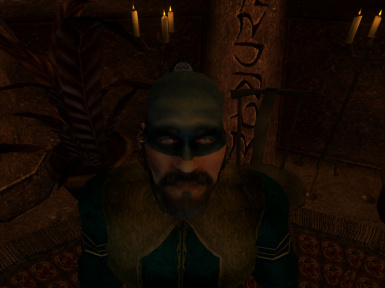 Rumour has it he is looking for an adventurer to help him further his studies..
Sorkvild the Raven (Evermore) Install the original mod first. 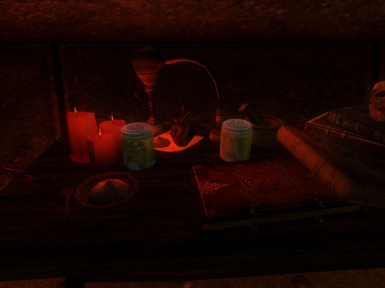 Makes Sorkvild a talkative trader/enchanter with a unique voice, unique dialogue, and a short but interesting series of quests.